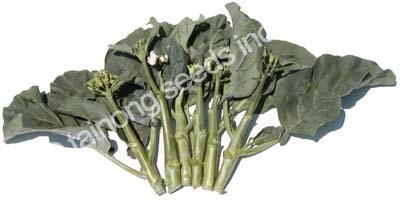 Gailan / Chinese Kale Jie Lan 芥蘭 | Tainong Seeds Inc.
Chinese Kale, also called Gailan or Chinese Broccoli, has glossy, blue-green leaves with crisp and thick stems. 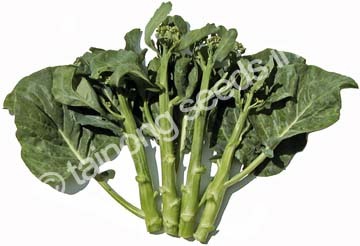 This vegetable adapts well to cold and hot climates and is grown all year round in California. 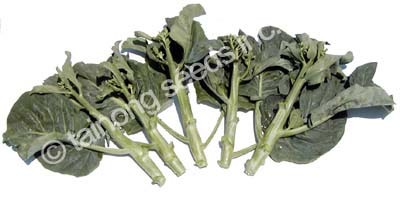 After the first cutting of the main stem, the plant will grow many branches for subsequent harvests. Early type, 45~50 days to harvest. Long, smooth stems with medium green leaves. Medium class hybrid, 50~55 days to harvest. Thick stems with dark green leaves. 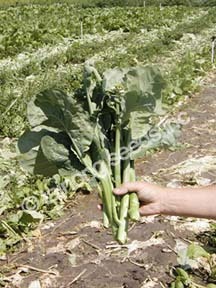 Top selling, high yielding O.P. variety. Smooth, dark green leaves with long, thick stems. Excellent uniformity in size and shape. For Spring, Summer, and Fall. Late season, slow bolting variety. 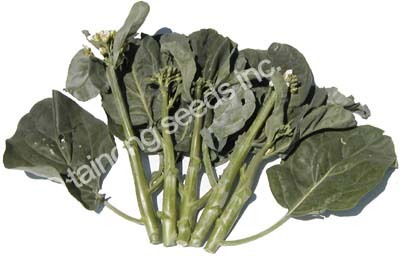 Large, medium dark green leaves with big short stems. rop ready in 50~55 days.